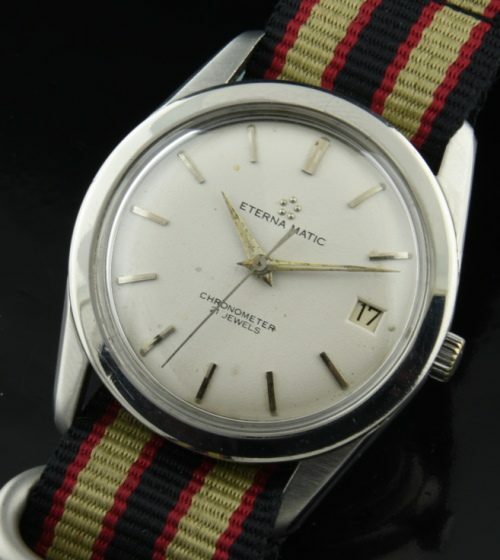 This is a stainless steel Eterna Eternamatic 21 jewel chronometer grade automatic winding movement vintage watch from the 1960’s. The fine chronometer grade movement was just cleaned and is accurate. The steel case has a wide bezel and screw-back. The original dauphine hands are present. The dial was restored many years ago and has some ageing. 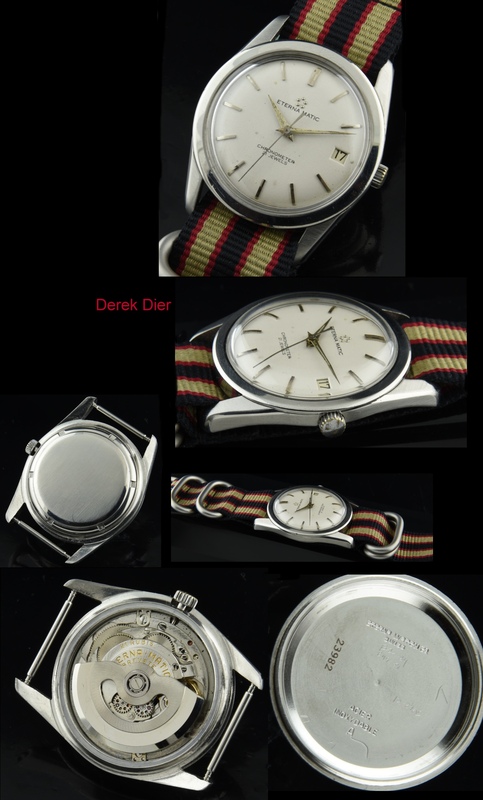 These watches are highly reliable with a “workhorse” movement that should last many years to come. This is an ideal every-day-wearing watch.